ICE SHARK!!!! No… It’s not some low budget movie about a prehistoric shark that came back to life after being frozen in ice. 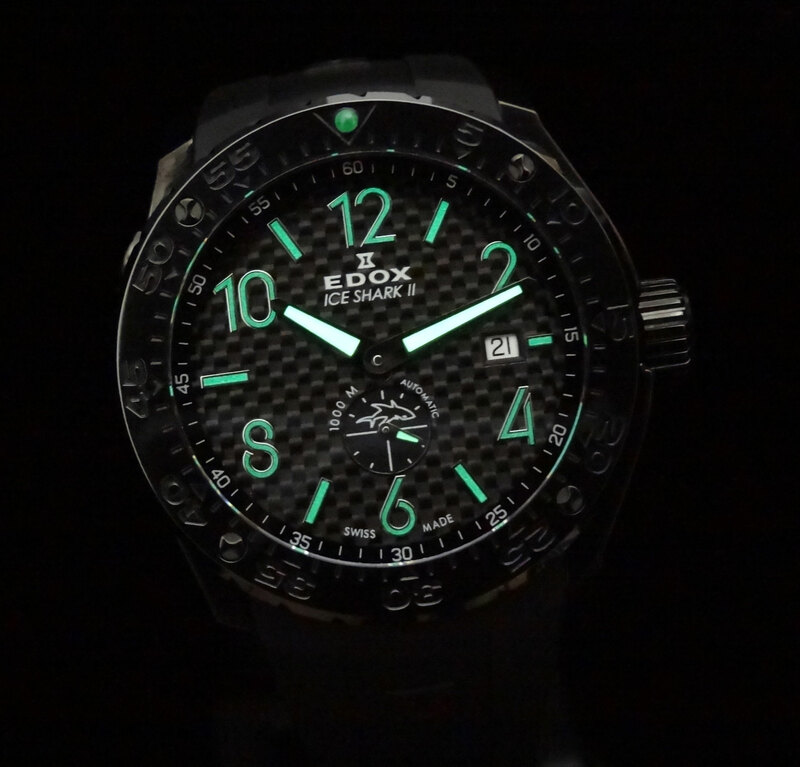 This is one awesome watch, and it’s made by Edox. The watch is actually intended for use in free-diving, under the ice. Hence the name Ice Shark. Edox has partnered with Christian “Iceman” Redl, who set 2 ice dive depth world records, and have made 2 variations of watches to fit his needs in this extreme sport, the Iceman and Ice Shark. The Edox Ice Shark II Automatic Limited Edition 96001 37N NIN3 is a 1,000 meter diver with helium escape valve. This ensures that the watch can withstand all the rigors of the ice dive. 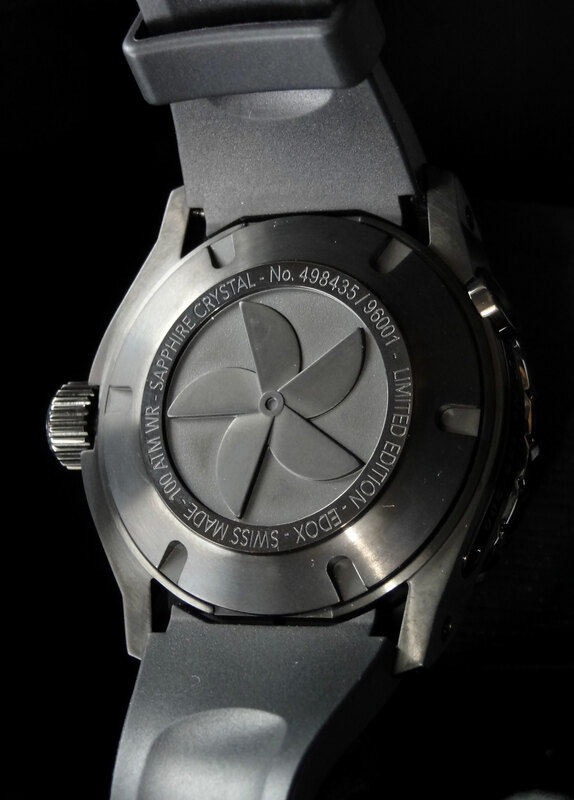 The case is 316L stainless steel with PVD coating, 43mm wide and 16.2mm thick. To me, this is a great size, not too large and not too small. The uni-directional dive bezel is ceramic on top of steel and gives a very glossy, almost lacquer like look to the bezel. The crown is large, but does not dig into your wrist. It is actually very nice when unscrewing and setting the watch. 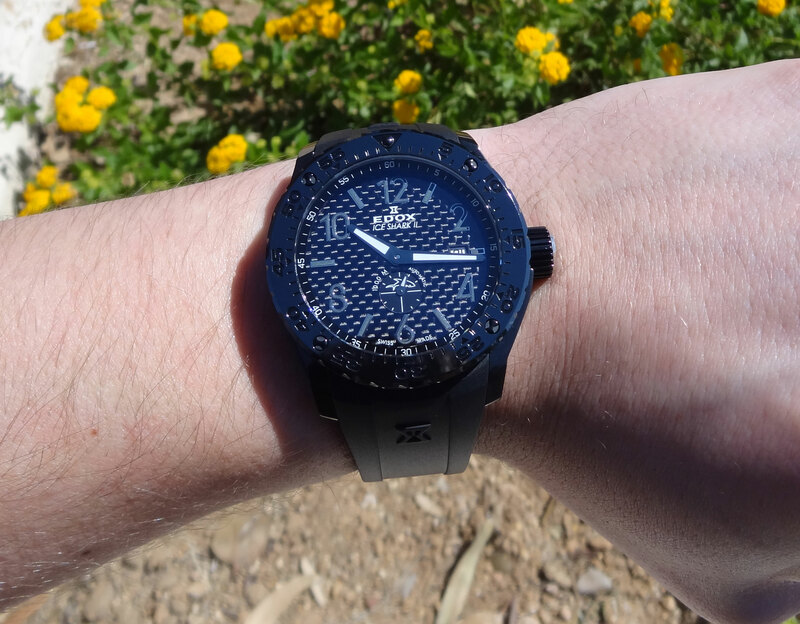 Obviously it is a screw down crown, but Edox also uses a double o-ring to add to the water resistance. The dial on the Ice Shark is what makes this piece so special to me. It is deep… and I mean deep! 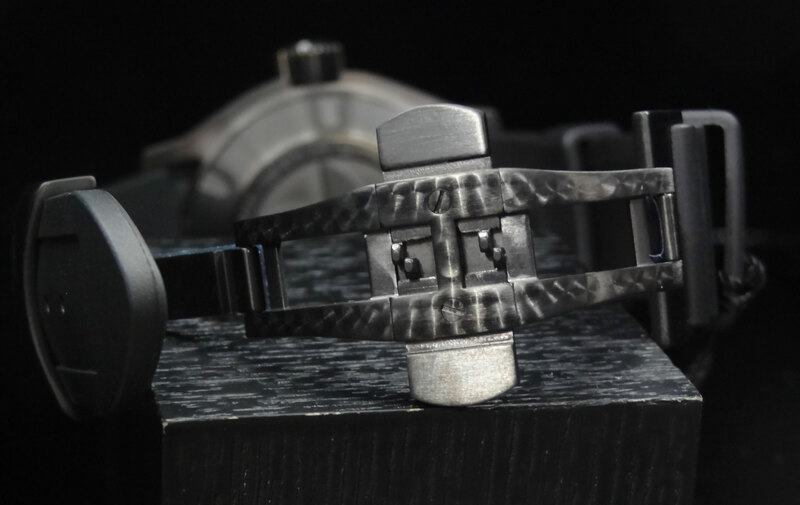 The chapter ring almost appears to sit a 2-3 mm above it’s carbon fiber dial. The carbon fiber adds even more depth to the dial giving the 3-D, almost floating, look to the numerals and indexes. 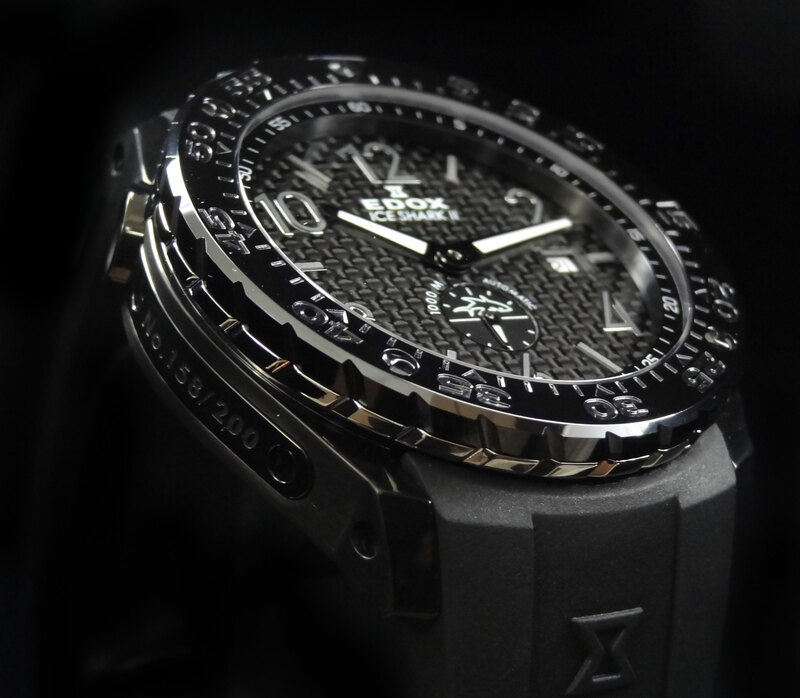 Another cool attribute is the numerals and indexes use a black super luminova really making it a “blacked out” watch. Luckily, the hands are very easy to read as they use the normal whitish super luminova that really jump off of the deep dark dial. The strap is a natural rubber, which is very comfortable and soft. The rubber uses pin holes for an adjustable deployment clasp so there is no need to cut to size. The clasp is very high quality. It is also PVD coated, but Edox takes it to the next level by adding perlage to the inside of the clasp. A very nice detail. The movement is the automatic Edox 96, which is based on an ETA 2895-2. The movement contains 27 jewels, has a rate of 28,800 bph, and displays hour, minute, small seconds and date. The ETA 2890’s series are excellent movements. They seem to have a much smoother winding (both manually and automatically) than other ETA’s like the 2824 or 2836 variations. 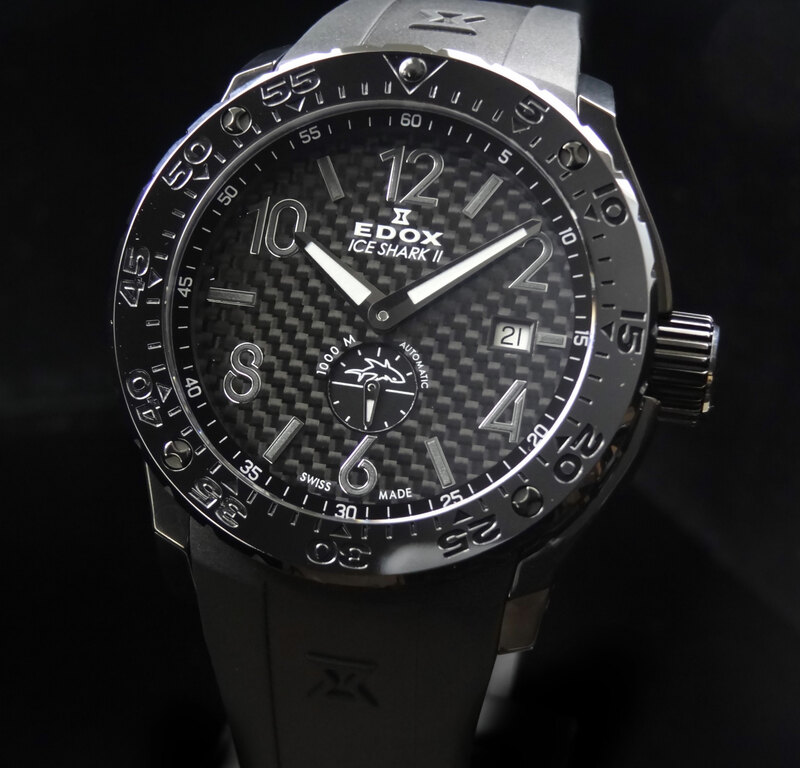 The Edox Ice Shark II Automatic Limited Edition 96001 37N NIN3 is a very cool piece (no pun intended). Only 200 of this particular model were made and each are engraved on the case side with the serial number. 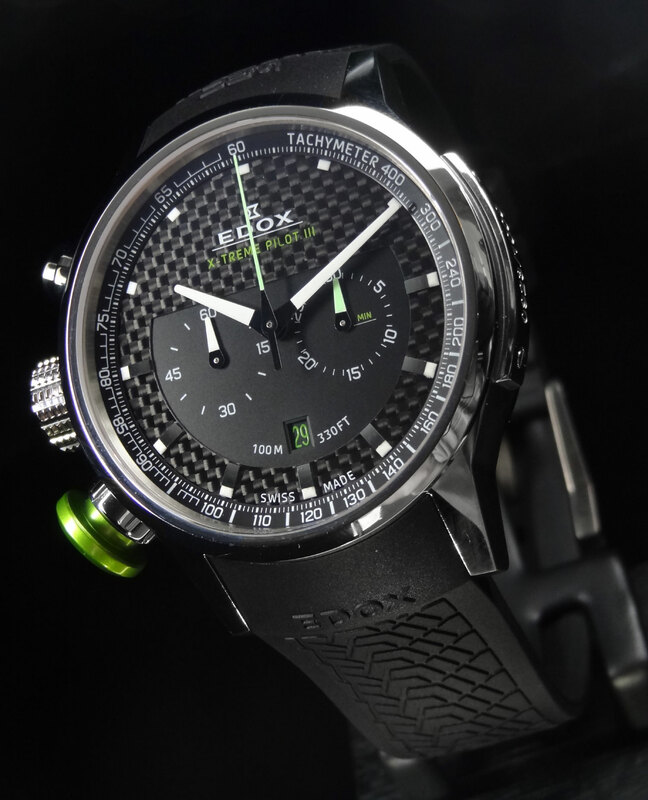 AZ Fine Time is one of very few dealers in the US for Edox. Should you ever have any questions, please feel free to contact us at 1-80-486-3996. We love to talk watches and are happy to do so.